Our team knows boats. We understand your passion for the water, the sea breeze, the waves, and the ability to deal with luxury, unique vehicles all day. With over 31 years of experience, we can meet your specific protection needs. Whether you need assistance for storage facilities, marina, or boat repairs, we can help. With access to multiple A rated carriers, we have the ability to compare coverages and prices to give you great value and service. The ocean has no rules. This means your expensive equipment and hard working employees could be exposed to accidents, mishaps, and other risks daily. To reduce the chances of damages or injuries, you need this coverage. Without it, you could face serious financial consequences. We are the boating industry specialists. Our knowledgeable staff has access to multiple markets so you will receive a customized policy with competitive pricing. Don’t wait until it is too late to team up with us for quality protection. 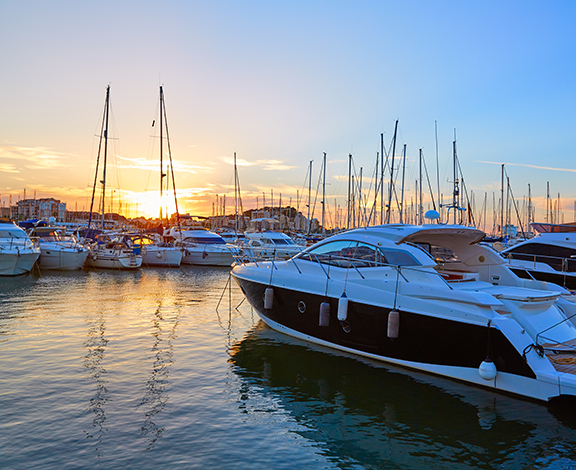 Whether you need assistance for storage facilities, marina, or boat repairs, we can help.